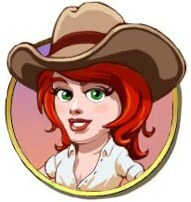 Gameplay - Frontierville Express - More Than Just A News Site: Bess' Guide To Good Farmin' Fer Food! Bess' Guide To Good Farmin' Fer Food! This ain't perfect because it depends how long y'all spend on your homestead but it's a start! This is all stuff y'all be doin' on your own homesteads... When visiting neighbours, fruit trees are ya best bet! Most time efficient animal - Chicken, then Pig. Most Time Efficient Tree - Liberty Cherry then Cherry. Building Daily Bonuses - Covered Wagon is 5, Barn is 15, Land Office is 11-40 each time.